The Edison Portland Cement Company was a venture by Thomas Edison. He founded it in New Village, NJ in 1899, and went on to supply the concrete for the construction of Yankee Stadium in 1923. The road numbers on the cars reflect those dates. The gray hopper features the orange circle Edison graphic and the tuscan hopper features the script Edison graphic. 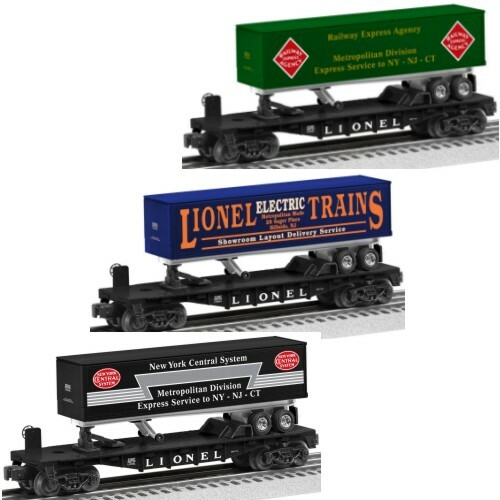 These 100% Lionel made and decorated cars are molded, decorated, and assembled in the USA. The cars feature die-cast metal trucks. The Headless Horseman, Ichabod Crane, and Sleepy Hollow are all terms that just scream Halloween. This car has different graphics and different door colors on each side so it actually looks like 2 different cars. Order 2 cars so you can run/display the cars with one set of graphics showing on one car and flip the other car around so the other side graphics show on the other car. 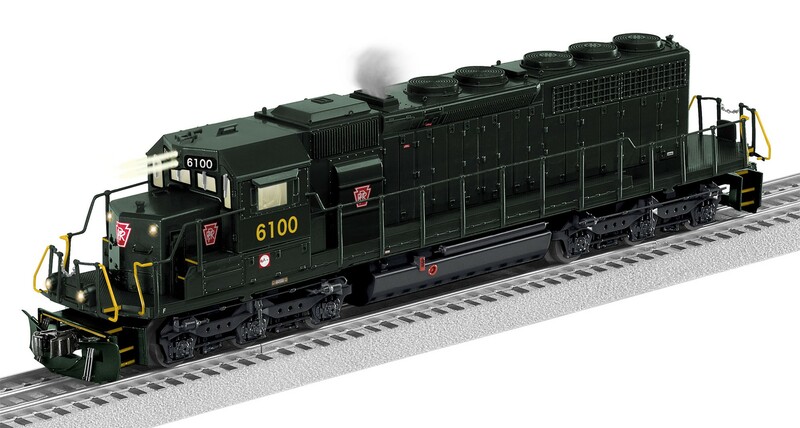 This 100% Lionel made and decorated 6-58057 box car is molded, decorated, and assembled in the USA. The car features a stamped metal frame, metal brake wheel and die-cast sprung trucks. The Central Railroad Company of New Jersey, more commonly known as the Jersey Central, was a key component of the rail network in the northeast during its existence. Their famous Bronx Terminal is memorialized in the “return to” notation on the car, painted in their unique Coast Guard paint scheme. 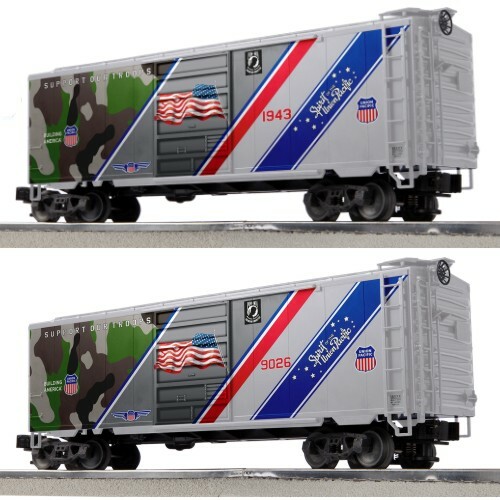 METCA is proud to release this 9700/6464 sized box car. 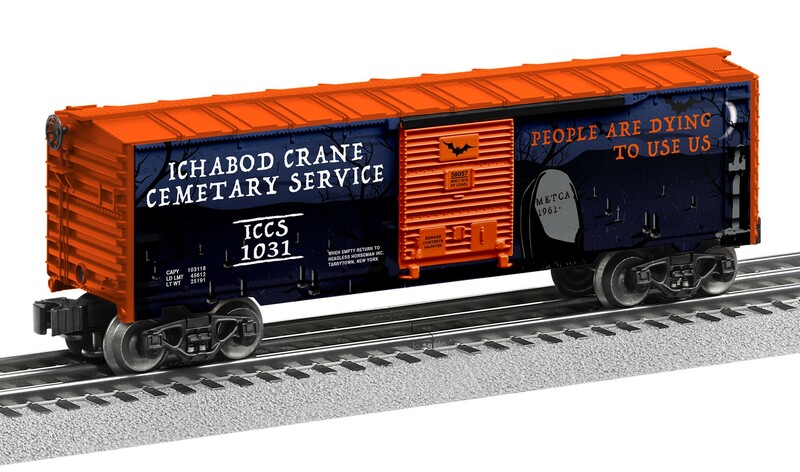 This 100% Lionel made and decorated 6-58033 box car is molded, decorated, and assembled in the USA. The car features a stamped metal frame, metal brake wheel and die-cast sprung trucks. The Charles Chips company was started in 1942 when Effie Musser sold her potato chips through a distributor, who put them in distinctive tins, and named them Charles Chips after Charles Street in Baltimore. 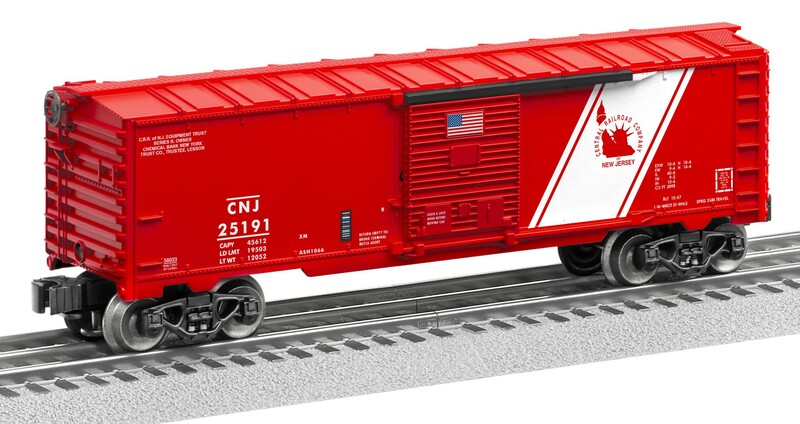 METCA is proud to release this 9700/6464 sized box car. 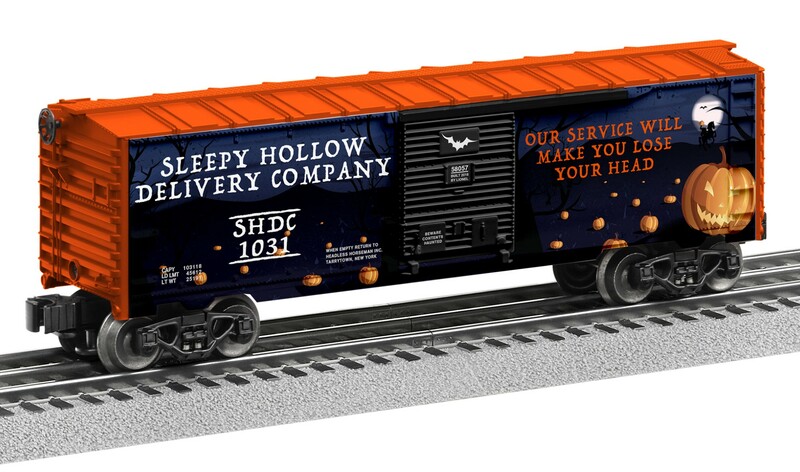 This 100% Lionel made and decorated 6-58038 box car is molded, decorated, and assembled in the USA. The car features a stamped metal frame, metal brake wheel and die-cast sprung trucks. In 1943, a Boeing B-17 was christened as Spirit of the Union Pacific, recognizing employees of the Union Pacific Railroad who funded the airplane through war bond contributions. In 2017, the Union Pacific applied a special paint job to SD70AH #9026 as a way of honoring the armed forces. 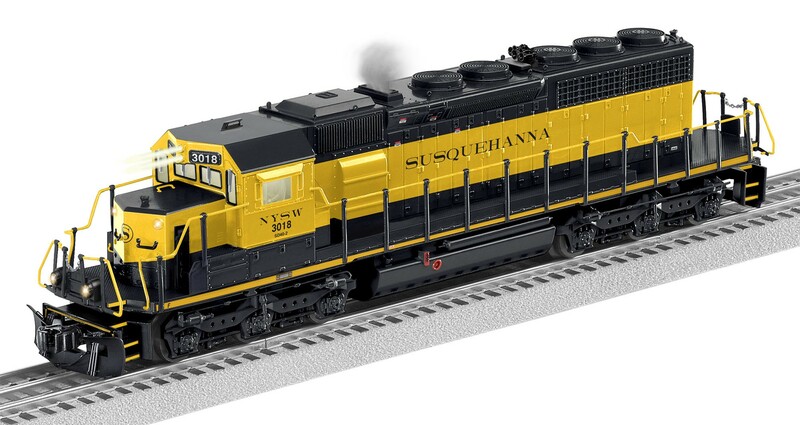 Our Lionel Spirit of the Union Pacific #9026 features all of the standard Lionel Legacy features that are included in Lionel’s regular Legacy locos. In 1943, a Boeing B-17 was christened as Spirit of the Union Pacific, recognizing employees of the Union Pacific Railroad who funded the airplane through war bond contributions. 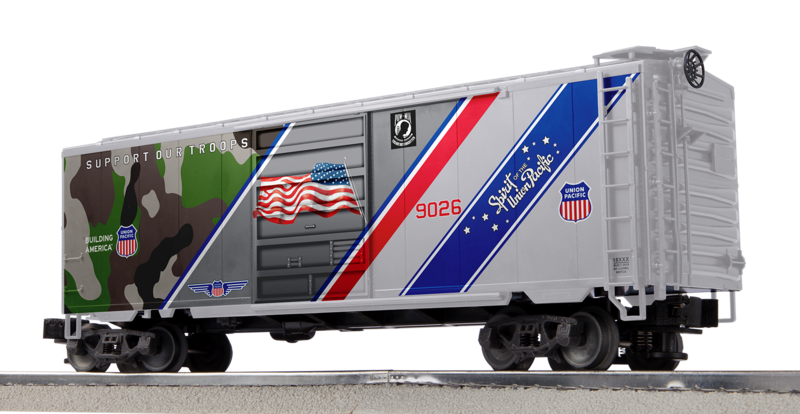 In 2017, the Union Pacific applied a special paint job to SD70AH #9026 as a way of honoring the armed forces. 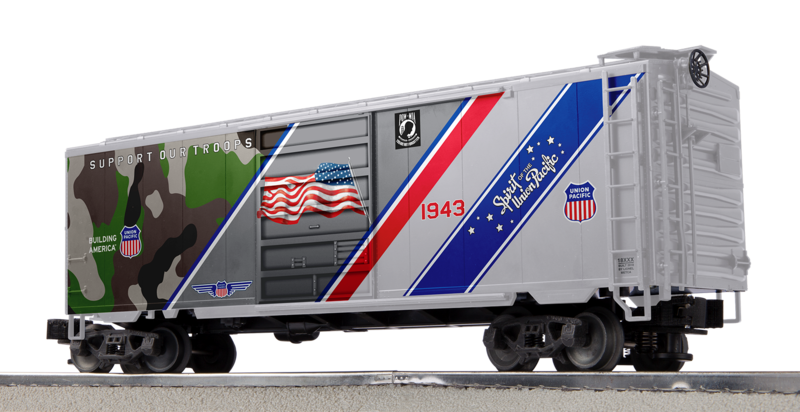 Our Lionel LionScale Spirit of the Union Pacific Box Cars compliment the locomotive and also just look great on their own or in any military themed train. The New York, Susquehanna & Western Railway, more commonly known as the Susquehanna, utilizes a striking bold color scheme for their corporate identification. Although usually applied to only their locomotives, the Susie-Q did paint one of their box cars (#526) in the locomotive scheme. METCA is proud to release this 9700/6464 sized box car with a prototypical flat panel door. 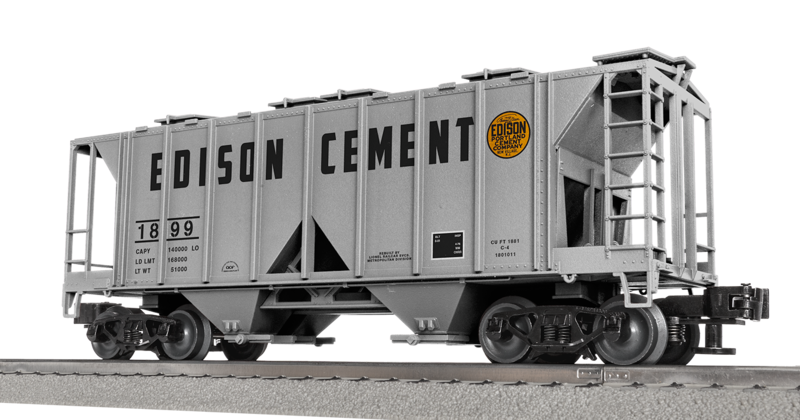 This 100% Lionel made and decorated 6-83866 box car is molded, decorated, and assembled in the USA. The car features a stamped metal frame, metal brake wheel and die-cast sprung trucks. 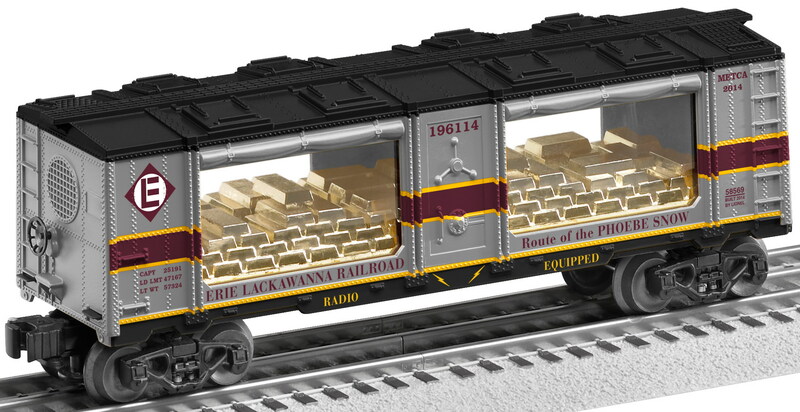 The Lehigh Valley Map Box Car is modeled after the real life promotional car that roamed the rails of the Route of the Black Diamond system. 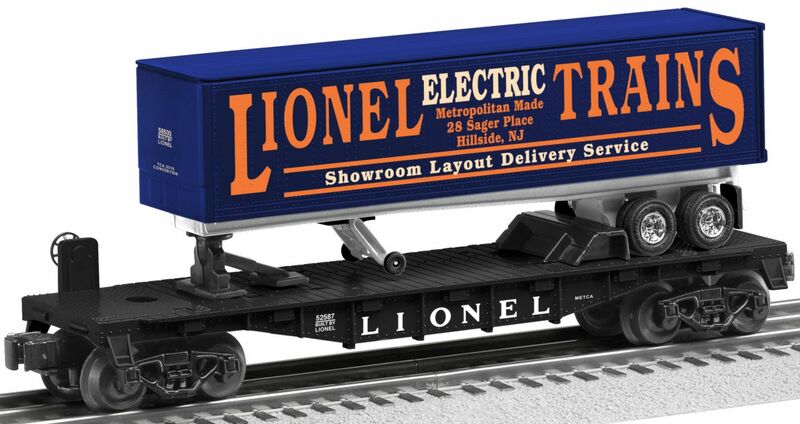 This 100% Lionel made and decorated 6-58274 box car is molded, decorated, and assembled in the USA. The car features a stamped metal frame, metal brake wheel and die-cast sprung trucks. Capturing the essence of the different names that the car carried throughout its career, this model features different names (and colors) on each side of the car. 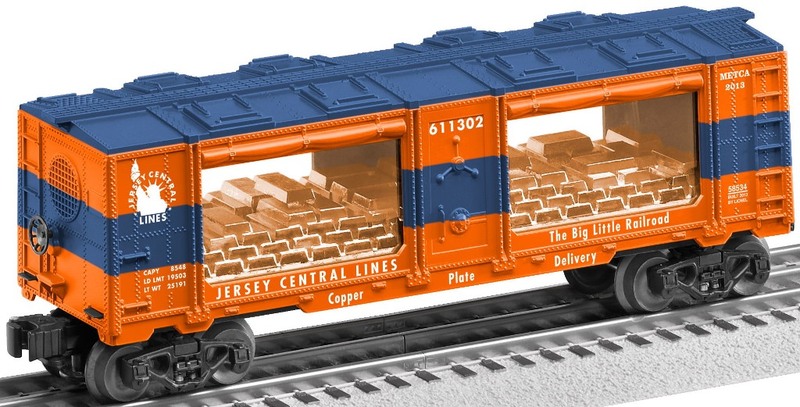 To commemorate Entenmann’s ties to Long Island, METCA has created this Lionel factory produced gondola with crate load (6-58243) in “O” Gauge. 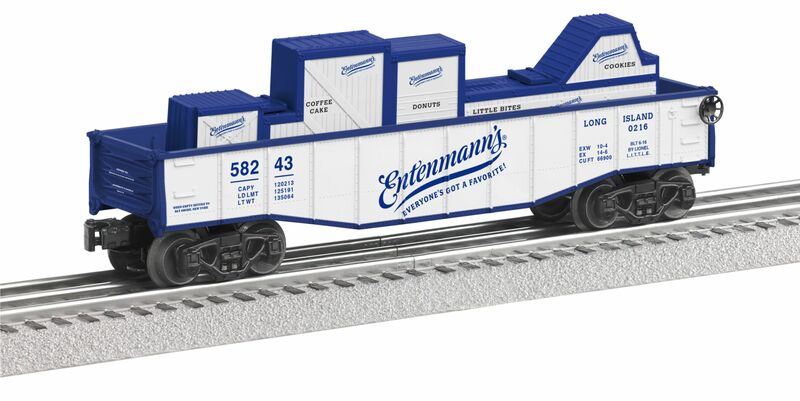 It features die-cast metal sprung trucks and comes in a unique white box with blue trim like previous Entenmann’s cars. 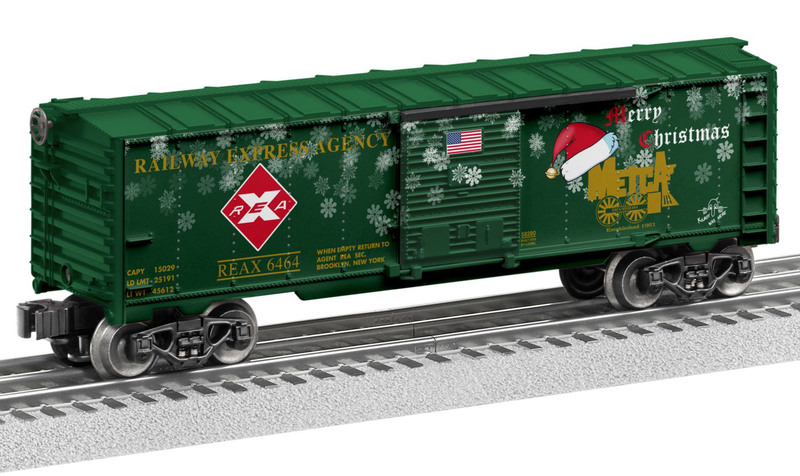 METCA’s first Christmas Box Car features a combination of the rarely used REA Express logo, the METCA logo wearing a Santa hat, and a sprinkle of snowflakes. The Railway Express Agency Christmas Box Car proudly exclaims “Merry Christmas” in festive holiday colors. 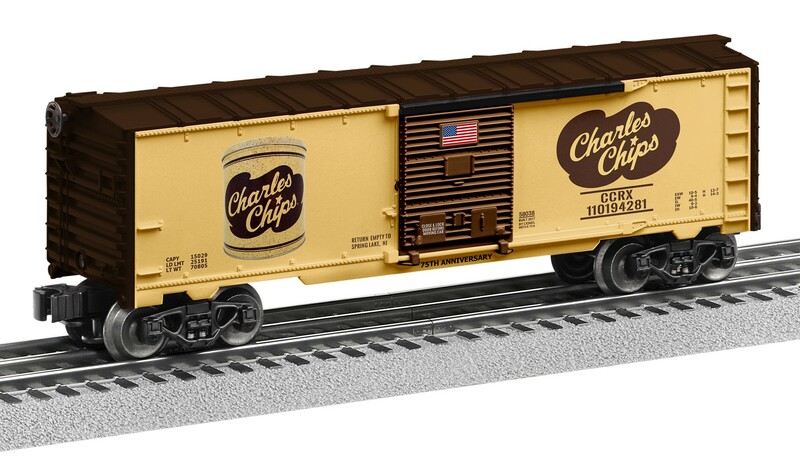 This 100% Lionel made and decorated 6-58280 box car is molded, decorated, and assembled in the USA. The car features a stamped metal frame, metal brake wheel and die-cast sprung trucks. As a companion to the TCA 2015 National Convention Car, METCA Division is offering 2 variations. 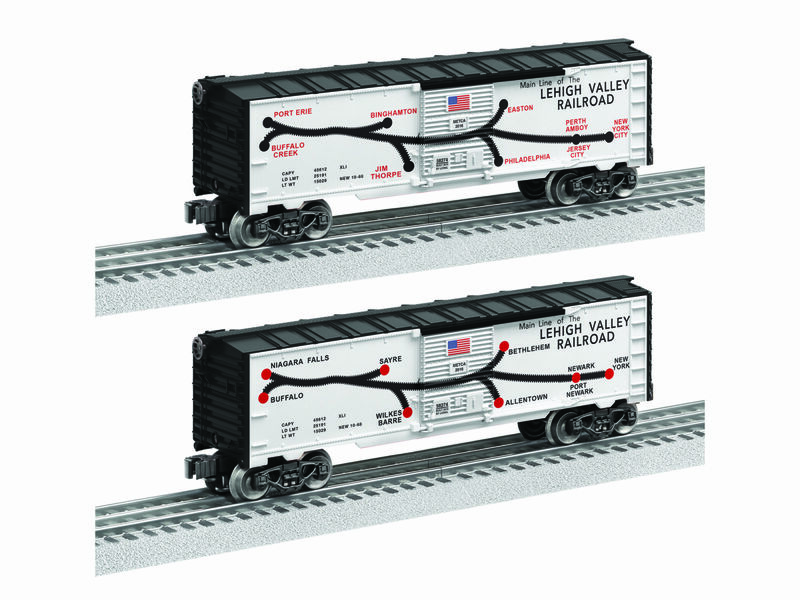 Our Division versions have different color flatcars (black and red) and different road numbers (499061 and 499054) than the National version. 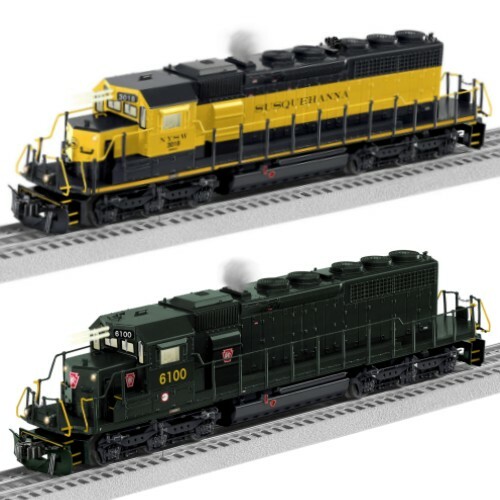 All 3 make a great looking set or unit train. 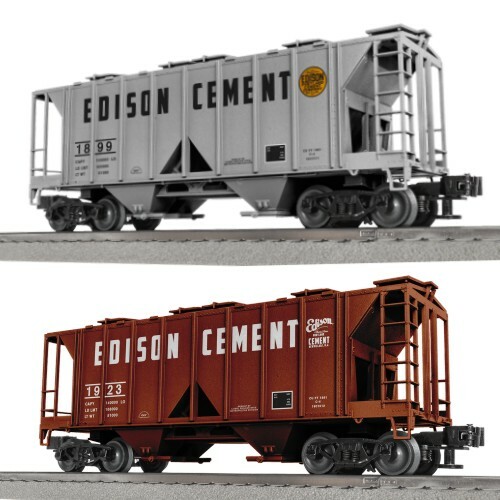 Also pictured: Weaver Artwork for METCA Division – Black Flatcar with Road Number 499061 – Trailer included; and Weaver Artwork for METCA Division – Red Flatcar with Road Number 499054 – Trailer included. Only 23 of these Weaver New York Central Trailer on Flat Car's were made in this special SILVER flat car and trailer paint scheme. These were originally given out as a gift to the hardest working volunteers at the 2015 TCA National Convention hosted by METCA. This car is completely made and decorated by Weaver and includes the original black Weaver box. Modell's Sporting Goods is America's oldest, family-owned and operated retailer of sporting goods, athletic footwear, active apparel and fan gear for the athlete and fan in all of us. Founded in 1889 by Morris A. Modell, the first Modell's store was located on Cortlandt Street in lower Manhattan, NYC. Four generations of the Modell family have developed the family business into a chain of over 150 stores throughout the Northeast. Modell's Sporting Goods operates stores throughout New York, New Jersey, Pennsylvania, Connecticut, Rhode Island, Massachusetts, New Hampshire, Delaware, Maryland, Virginia and the District of Columbia. 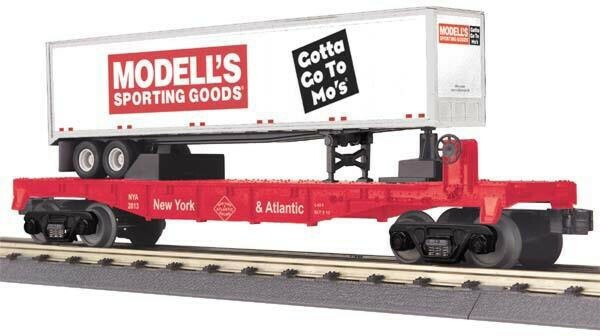 The trailer is modeled after the actual trailers used by Modell’s and rides on a New York & Atlantic Railway flatcar. 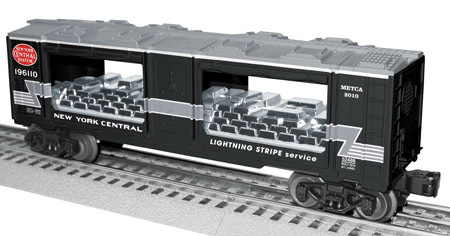 Only 230 of these Railking TOFCs by MTH Electric Trains (Item # 30-76530) were made. Manhattan Brewing Company closed their doors decades ago. Regardless, we couldn’t think of a more appropriate name to adorn the sides of this Atlas O 40’ Woodside Reefer to raise awareness for the TCA 2015 National Convention hosted by METCA. This Master Line reefer was offered in 4 road numbers (and 4 “flavors”) with your choice of 3-Rail or 2-Rail trucks (pending sufficient orders). Each variety of our reefer pays homage to one of the various names that New York has been known as over the years. Production quantities were ultra-low (48 of each “flavor” in 3-rail, and only 12 of each in 2-rail). We hope that one or more of these cars suits your taste (buds)! The Long Island Toy Train Locomotive Engineers (LITTLE), in conjunction with the Metropolitan Division of the Train Collectors Association (METCA), produced a Lionel Entenmann’s Commemorative tank car. Funds raised from the profits of the sale of this car went towards the TCA 2015 National Convention, hosted by METCA. In 1898, William Entenmann opened a bakery in Brooklyn, New York. Traveling by horse-drawn buggy, he delivered bread, cakes and other baked goods door to door. In the early 1900’s the family moved to Bay Shore, Long Island. Today, over 100 years later, Entenmann’s still bakes their famous fresh and delicious sweet baked goods and delivers daily to stores across the United States. To commemorate Entenmann’s ties to Long Island, LITTLE and METCA have created this Lionel factory produced tank car (6-58598) in “O” Gauge. 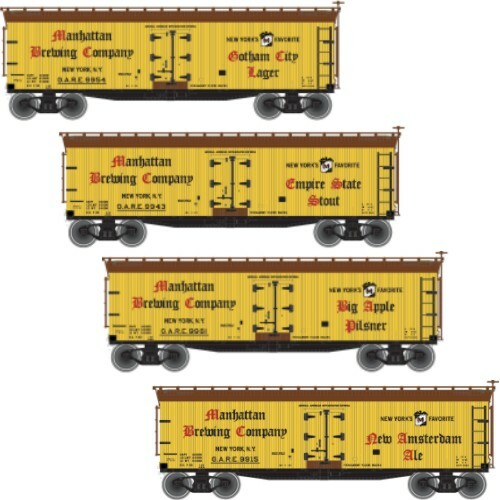 It features die-cast metal sprung trucks and came in a unique white box with blue trim like previous Entenmann’s cars. 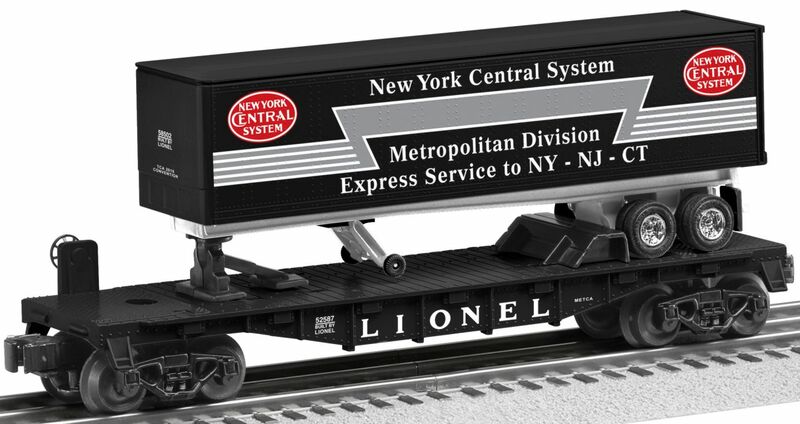 In preparation for the 2015 TCA National Convention in Somerset, New Jersey, hosted by METCA (the Metropolitan Division of the Train Collectors Association), we offered these Limited Edition Lionel TOFC’s as a fundraiser to help cover part of the Division’s portion of the expenses. These TOFC's are designed to acknowledge companies that have a long history in the METCA area. The Blue Comet was the Central Railroad of New Jersey’s premium method of travel between Jersey City’s Communipaw Avenue Railroad Terminal and Atlantic City. METCA has incorporated this paint scheme, along with design references to the Statue of Liberty from the CNJ logo, into one of our 2013 Division Cars. This new Limited Production 6-58523 METCA Blue Comet Mint Car has blue painted trucks and includes a gold bullion bar load. This car is the perfect companion to Lionel’s 2012 Blue Comet release or any of their previous Blue Comet releases. Taking design clues from Lionel’s postwar 2341 Jersey Central FM Trainmaster, METCA has incorporated this paint scheme into our other 2013 Division Car, the 6-58534 METCA Jersey Central Mint Car. This car includes a copper plated load, symbolizing the transporting of copper plates for the maintenance of one of our nation’s most recognized symbols … the Statue of Liberty. This car is the perfect companion to any Jersey Central FM Trainmaster. The cars are 100% Lionel made & decorated and feature die-cast sprung trucks/couplers, a metal brake wheel, and a metal frame. “The Route of the Dashing Commuter” was a reference to people that had to run to catch their Long Island Rail Road commuter train into New York City. The fellow depicted in the logo was nicknamed “Dan”. METCA has incorporated this logo and slogan, along with design references to one of LIRR’s previous owners, the Pennsylvania Railroad, into our 2012 Division Car. 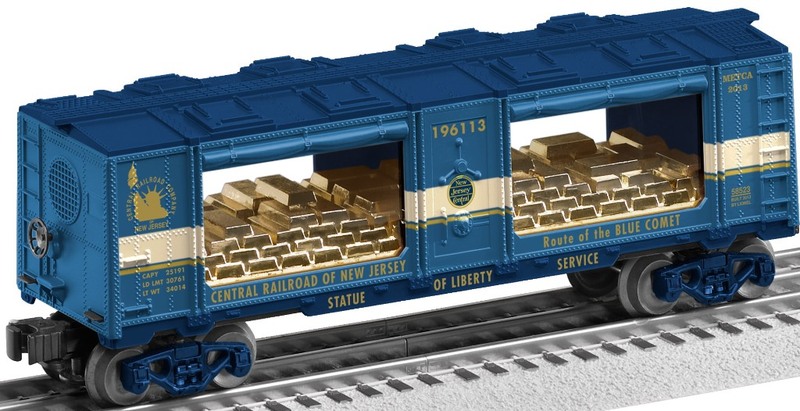 This Limited Production 6-52596 METCA Long Island Rail Road Mint Car is 100% Lionel made and decorated, features die-cast sprung trucks/couplers, a metal brake wheel, a metal frame, and includes a gold bullion bar load. This car is the perfect companion to METCA’s ongoing railroad themed Heritage Mint Car Series. 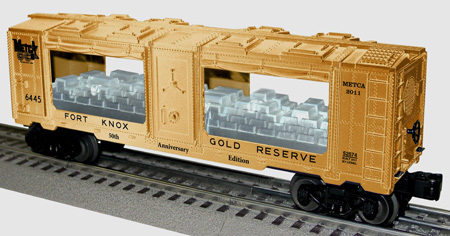 The 50th Anniversary of METCA, as well as the 50th Anniversary of the introduction of the Fort Knox Mint Car in 1961 were honored by the production of a Lionel Gold Painted Fort Knox Mint Car. 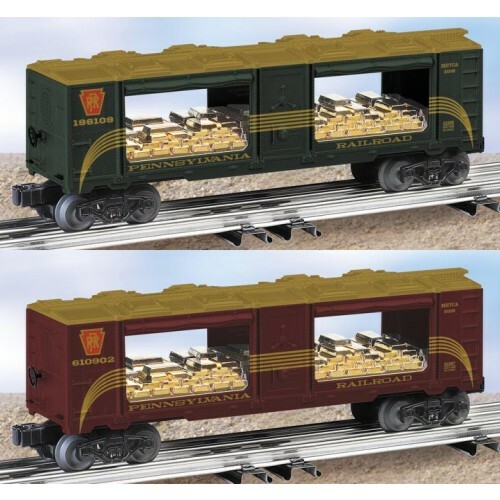 This Limited Production 6-52574 METCA 50th Anniversary Fort Knox Mint Car is 100% Lionel made and decorated, features die-cast sprung trucks/couplers, a metal brake wheel, a metal frame, and includes Lionel’s FIRST EVER clear bullion bar load. The car comes with retro-styled Limited Edition packaging. Our first ever car that was completely produced by Lionel (our previous offerings were overstamped regular production items). 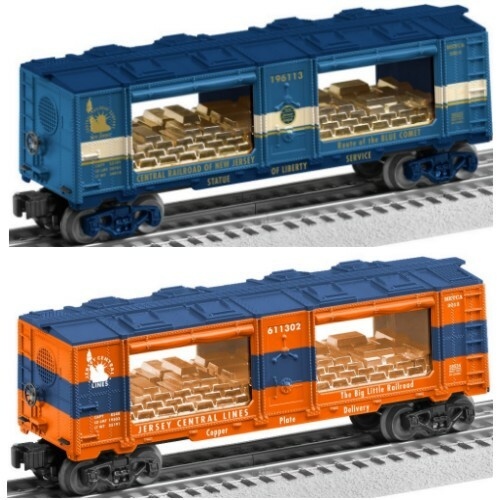 Decorated in New York Central's Pacemaker Freight Service color scheme, this Mint Car features Lionel's first ever use of a copper-plated bullion bar load. 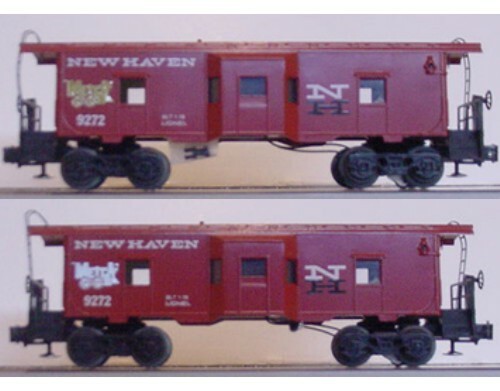 In 1979, METCA issued this 9272 New Haven Bay Window Caboose. It was over stamped with the METCA logo in gold. There were several sample cars also made up with the METCA logo in silver. In 1976, METCA issued this 9754 NYC Pacemaker Boxcar. This Boxcar was over stamped with METCA DIVISION & 1976 in Yellow and TCA in Black.